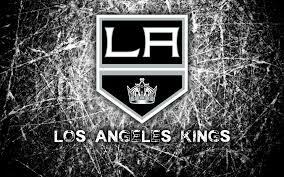 After winning two Stanley Cups, the Kings Cup winning window is all but closed and it is time to look towards the future. Unfortunately to win those Cups, the Kings gave up a lot of draft picks and youth. Despite mortgaging so much in future assets, the Kings scouting staff has done an admirable job in finding great value in late round picks. The changing of the guard in the front office has also seen a change in organizational direction as new GM Rob Blake has put an emphasis on replenishing the prospect cupboard. The Kings went into the 2017 NHL Draft with seven picks (See the July 31-in-31 for more on 2017 draft picks) and during the off-season Blake has acquired some key free agent prospects. Mike Cammalleri and Darcy Kuemper are the NHL roster free agent additions but let’s stick to prospects. The free agent gem acquired by Blake is goalie Cal Petersen who left college to turn pro and rejected an offer from the Buffalo Sabres to become a free agent. He instantly becomes the Kings top goalie prospect and heir apparent to Jonathan Quick. On defense the Kings most important signing was Swedish 25-year-old Oscar Fantenberg out of the KHL where the All-Star had a 23 point season, he should contend for a roster spot. The big blueline addition (Literally not figuratively) was 6-7 224 pound Stepan Falkovsky, a Calgary Flames cast off. The Flames drafted Falkovsky in the seventh round of the 2016 draft and he spent last season in the ECHL, he is expected to play in the AHL for the Reign this year. The big addition up front (again literally) is Boko Imama who was acquired from Tampa Bay just before he was to become a free agent as he was not qualified by the Lightning. The Kings acquired and immediately signed the big 6-1 221 pound winger. Imama had been considered as an enforcer but after returning to the QMJHL for his overage season with Saint John he developed his offensive game posting 41 goals and more importantly vastly improved his skating. Last but not least Blake signed college free agent Alex Iafallo who in his senior season at Minnesota-Duluth scored 51 points in42 games and was named NCHC Champion and Tournament MVP. There will be some prospects looking to establish themselves as NHL players in the coming season. Top prospect Adrian Kempe has paid his AHL dues and played a quarter of the year with the Kings last year. Sniper Jonny Brodzinski (Best name in hockey) had 27 goals and 49 points in 59 games in the AHL last year in Ontario and if Gaborik isn’t healthy to start the season provides Brodzinski with a great opportunity to make the move to the NHL. On defense, Paul Ladue had a 22 game NHL debut last year and looked good posting eight points. Ladue should be a regular this year and see time on the second PP unit. Kevin Gravel is another defenseman who played 49 games in the NHL last year and is poised to play a regular shift as a bottom six pairing for the Kings this year. Making the jump to pro will be two players who played as overage players last year in Spencer Watson and Boko Imama. Both should have an immediate impact on the Reign. Cal Petersen as mentioned above will make his debut with the organization as the Reign starting goalie. Stepan Falkovsky and Alex Iafallo are also expected to crack the roster. The wild card here is free agent Oscar Fantenberg; the 25-year-old may need some time in the AHL adjusting to North America ice and hockey before pushing for NHL time. Chaz Reddekopp had a breakout fourth year in junior posting 43 points in 51 games and he is set to turn pro also. 1. Gabriel Vilardi, C – Windsor (OHL) was an impact player in Memorial Cup, a tournament dominated by 19 and 20-year-olds. Just needs to improve his first step acceleration. 2. Adrian Kempe, LW/C – Ontario (AHL) Offensive production hasn’t translated to NHL yet but the 21-year-old will be given a bigger role this year. 5. Jaret Anderson-Dolan, C – Spokane (WHL) Captain of Team Canada at the U-18 has a high compete and future Captain material. 6. Paul Ladue, D – Ontario (AHL) Offensive defenseman needs to work out defensive warts to play big minutes. 8. Mike Amadio, C – Ontario (AHL) The 21-year-olds AHL rookie season was good, posting 16 goals and 41 points, but he needs to take the next step to not get overtaken. 10. Boko Imama, LW – Saint John (QMJHL) QMJHL heavyweight found his scoring touch and some wheels in OA season going all the way to the Memorial Cup. Paul Ladue – The 2012 sixth round pick is turning out to be an exceptional value pick as his NHL debut last year was a success and he is poised to play a full time role on the Kings this year with powerplay duties as an offensive defenseman. Jonny Brodzinski – A great deep sleeper pick, Brodzinski is a goal scorer and the Kings need goals. The injury to Gaborik only opens the door wider. Alex Iafallo – A breakout 51 point senior year in the NCAA culminated in a NCAA Championship match and loss to Denver. The 23-year-old may only need one season of AHL seasoning before he sees time with the Kings. Boko Imama – One of my personal favorites, he scored a goal in NHL preseason last summer before returning to the Q where he scored 41 regular season goals. In leagues with PIM’s and hits he may be a very valuable asset. Alex Lintuniemi While the Kings are finding great value in the later rounds, Lintuniemi a former second round pick is slow to develop. After spending his first pro season in the ECHL he played the full year in the AHL but only posted ten points. Not a fantasy relevant player at this time. Spencer Watson I am still a fan of Watson but being returned to the OHL as an overager was a strike against him. The injury he suffered is another; he is undersized and is not very durable. That likely isn’t going to improve as he turns to pro hockey. Still a great value pick with the 209th overall pick as he did post 28 goals and 53 points in 41 games in Mississauga last year.